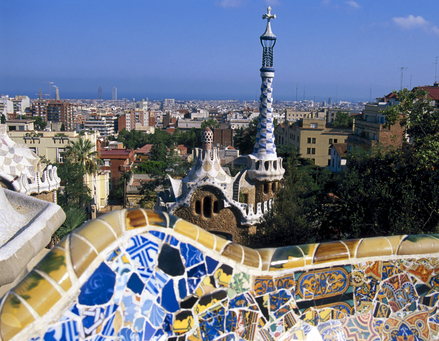 Set against a backdrop of culture and history, Barcelona has emerged as Spain’s most cosmopolitan city. Its glorious Gothic architecture, medieval style layout and fascination with art portray only one side of the city. This city is a year-round holiday destination. Ideal weather ensures the beaches are always buzzing, the markets are always bustling, and the avant-garde chefs always have plenty of mouths to feed. A city of pleasures, whether you’re there for the sights, the cuisine, the culture or the beaches, the pulse of this city guarantees a good time. Spain is made up of 17 autonomous communities, Catalonia being one of them. Barcelona is the capital of Catalonia and one of its four provinces. It is the second most populous city in Spain after Madrid, and one of the Mediterranean’s busiest ports. Home to legendary architect Antoni Gaudi, much of the city’s landscaping reflects his typical charming style. The city was also home to Picasso for a while and showcases much of his work. Legendary football team, FC Barcelona, calls this city home as well, and has a museum dedicated to them.